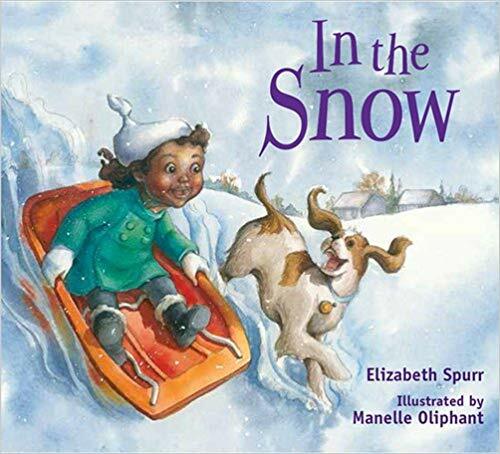 The text in the “In the Weather” series is simple enough for many first graders to read independently, but the lyrical rhyming also makes In the Snow fun for reading aloud with a group. The illustrations are also a treasure, of course. A little girl, her mother, and her dog find a lot to keep them busy out on a winter day. They slide, draw in the snow, build a snowman, play on a sled, and make snow angels. It all looks like fun, and then it’s time to go. Whether looking for creative activities or just a fun story, readers should enjoy In the Snow. Even very young children have a rudimentary understanding of the way things work. You flip a switch and a light comes on. You turn a faucet handle and you get water to drink. You turn a knob on the stove and you can cook. 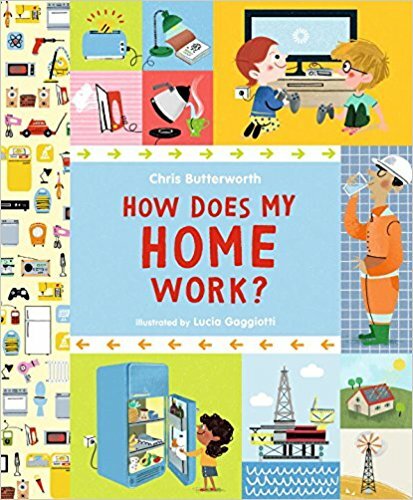 This clever new book goes a little deeper so that kids can better understand what really makes these things work. The author presents topics without being didactic and keeps the readers entertained too. The pages on electricity include many of the current and alternative sources for the energy. Illustrations skillfully include simple diagrams of electrical grids and numerous examples of how electricity is used. The pages on water are very detailed in showing how we get clean water. The illustrations even show readers how toilets and faucets work. Natural gas production is skillfully explored, but the author doesn’t go into its consumption as much. This would be great in a classroom for kids to explore the world around them or as a sidelight to a safety or conservation unit. Kids can identify how many things depend on electricity, water, or natural gas. Title: How Does My Home Work? Windows provides a new and unique way to view the world around us. As kids learns about their environment, their view is necessarily limited by what they can see and what they’re told. This simple story shows them how they can gather information from even that limited view. A young child heads out to walk a dog as dusk/sunset sets in over a neighborhood. Lights come on as people continue their daily routines. A raccoon starts its nightly foraging. One apartment hosts a party. A mother cares for an infant. A bodega is open. A barber shop is closed. Two windows are connected by a tin can telephone. There are dancers, players, exercisers, readers, cooks, and fish. There are dreamers, huggers, and pets. And some windows are dark or abandoned. But the best window is at home. Sparse text describes the walk, while detailed illustrations gives it life. Even the end papers and dust cover add detail to the world. The dust cover has a special patina where the glass for the windows would be. Recommended as a read aloud so child and adult can discuss all the many details and speculate on what else they might see on a walk. Universal issue that may or may not be a real issue. Everyone can identify and sympathize with Andy. In fact, this story is originally from New Zealand. Andy has a problem. His Auntie Elsie visits. Often. And she insists on kissing him twice on each cheek as a greeting. He tries to duck the kisses, but she gets him every time. He hides under the bed. She lures him out with a truck. He hides in the chicken coop. She lures him out by talking about the chickens. He hides in a tree. She can climb. The real problem comes when Auntie Elsie doesn’t. Hiding from her has become such a part of his routine that Andy is at a loss when she doesn’t show up. She’s broken her leg and needs time to heal. When she finally does come back, he’s so happy to see her that he does the kissing. Adorable mixed media illustrations complete the hilarity of this cute book in its current reprinting. Perfect for reading aloud or as independent reading. Title: Kiss! Kiss! Yuck! Yuck! When is a rabbit not a rabbit? When it’s ten rabbits! Lion is mean to everyone. But no one wants to tell him to cut it out. Bear loses a boxing match to him. Moose loses a sword fight. Tiger loses at arm wrestling. Rabbit shows up and finds the contests he can win at. Rabbit is better at marshmallow eating, quizzes, hopping, art, and running. But Rabbit is using a trick. What is he doing? Lion becomes very, very nice. 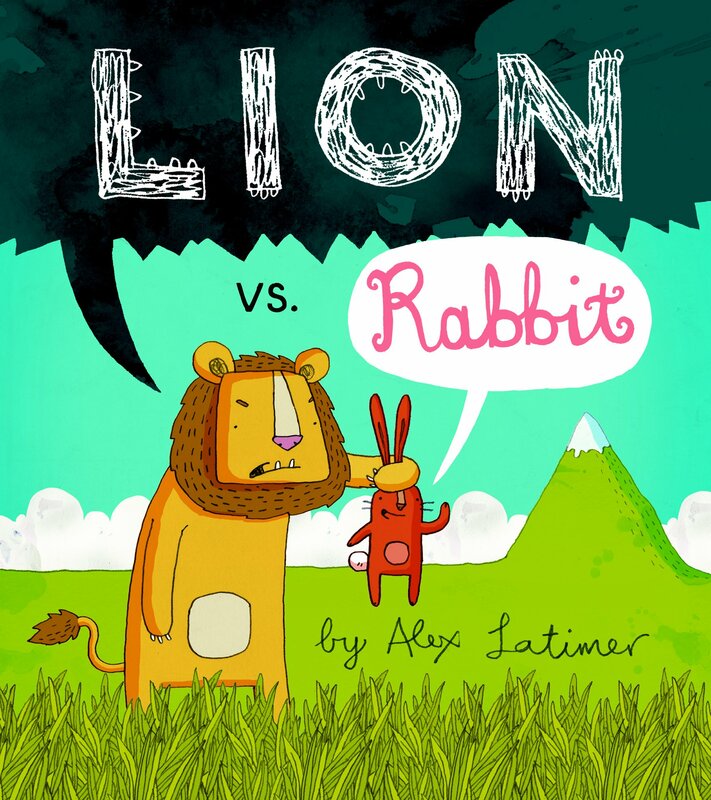 Cartoon-like illustrations add to the hilarity, and many clues – written and visual – help the reader figure out how Rabbit beats Lion. On many pages, an extra pair of rabbit ears appear away from the action. And the brainy rabbit is the only one wearing glasses. 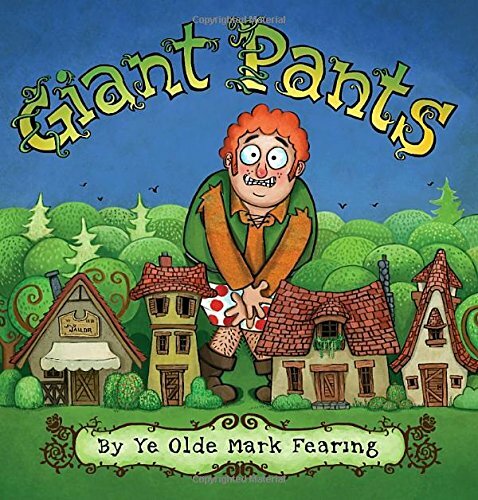 Silly, fun, and hilarious, this new read aloud explores what to do when you can’t find your pants. Getting dressed in the morning, Belbum, a giant, is unable to find his only pair of pants. He looks everywhere – his bedroom, his kitchen, and his backyard. Angry and frustrated, he sets out to seek help from his friends. A cyclops offers a toga. Not a good idea. A gnome offers his extra pair. Not stretchy enough. A unicorn is not much help either. So Belbum heads for the village, pantsless. The townsfolk are terrified, but the tailor makes him a new pair and some spares. He leaves the extras with his friends, just in case. Arriving back home, he naturally finds his old pants. Lively illustrations show not only the giant’s embarrassment but also the reactions of his friends and the townspeople. The feel is that of a fairy tale. Includes gorgeous end papers with a complete map of the giant’s world. Best as an amusing bedtime story with interaction between child and adult or in a group setting. Sweet story of a pair of cardinals that inhabit a Norway spruce somewhere in America. 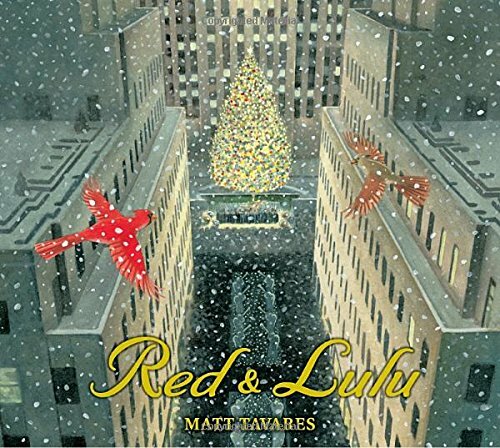 The birds, Red and Lulu, enjoy the holiday season each year. They love the decorations and the singing around the tree. Their happy life is interrupted when men come to cut down the tree they live in and cart it off to New York City. Lulu is still in the tree, and Red sets off to find her. Eventually, they reunite and enjoy Christmas once again in a new setting. 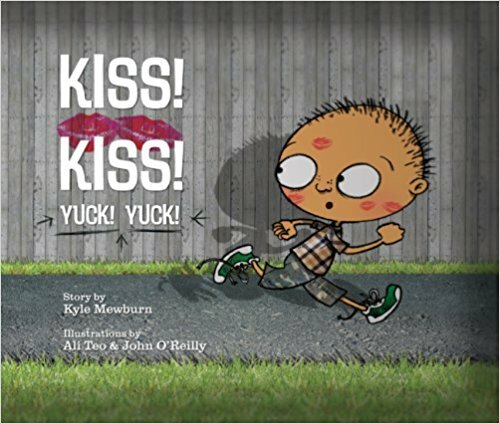 There is a lot to love is this adorable new book. The story is heartwarming and informative. The illustrations are beautiful, informative, and highlight the magical feel of the story. Interestingly, the book lists credits for both the Empire State Building and the New York Public Library. Times Square and the George Washington Bridge are among the other identifiable sights. The story is also about the long standing tradition of the decorated tree at Rockefeller Plaza. Though the author hints that cardinals are monogamous, talking about this tidbit might add a bit more credence to the story. 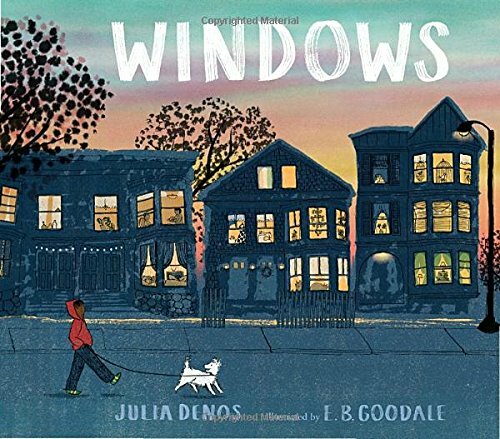 Great as a read aloud or for independent reading. Do you think your dad is the best? How do you suppose he got to be such a good dad? Did he go to school to learn about being a dad? What would he have learned there? 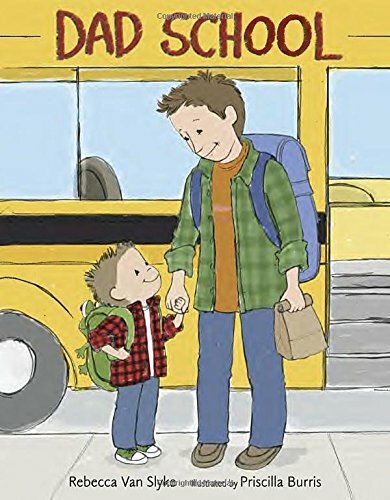 This adorable book speculates on what goes on at a school where dads learn to be dads. The author lists many of the things young kids see their dads doing every day – things that make them the best. From fixing boo-boos to fixing leaky faucets, dads or other caretakers are well represented at Dad School. Dads learn to be chauffeurs, to be teachers of bicycle riding, to throw kids in the air, and to multitask. Of course, no dad is completely perfect, but that just makes them more human. They may not have learned to match clothes or clean the bathroom. Done by one of my favorite illustrators in pencil and paint, the charming illustrations make the book even more fun and more expressive. Independently read or read in a group where kids can cheer for their dads or whoever takes care of them, this is a fun and hilarious addition to a first grader’s reading list. As in the classic tale, Rapunzel is held prisoner by a witch, who climbs Rapunzel’s hair to visit and bring food and other essentials. Rapunzel figures out her hair provides a means of escape. Afraid of retribution by the witch, Rapunzel returns to the tower daily. She can be seen reading a book, How to Defeat Witches. When the witch discovers Rapunzel has been leaving the tower, she threatens to curse Rapunzel. So Rapunzel snips off her hair while the witch is climbing down. Rapunzel uses her vine ladder to escape. The best part is that the other witches are now afraid of Rapunzel. The author’s fanciful illustrations add a lot to the story, with scenes such as the witch tumbling off the long, long hair. 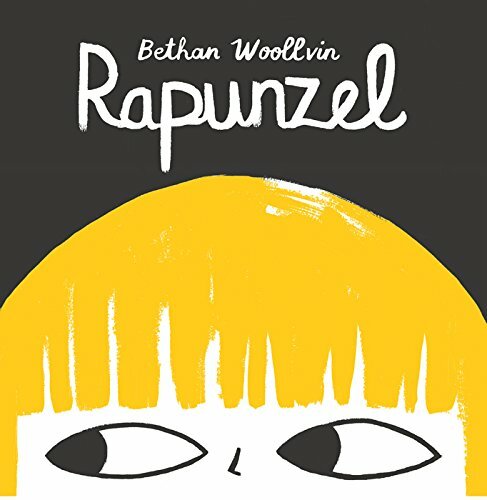 Kids will feel empowered by Rapunzel not being afraid and defeating the witch. This would be best as a read aloud so everyone can cheer for Rapunzel, but independent reading is a definite possibility. But were the witches frightened? 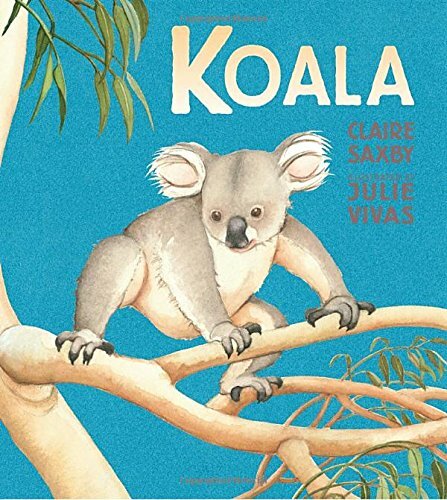 This cute new read aloud follows the routine of a young male koala. Readers learn about how a mother separates from the older joey in preparation for a newcomer. He must find his own tree, as older males may have already claimed the one he wants. Territorial claims can turn violent. The young male must also find a place plentiful with the eucalyptus leaves he will be eating. Koalas are so secure in the trees that they can even sleep through storms, with fur that protects them from rain. When startled or frightened, they can move fast on their hind legs like kangaroos. Lyrical text enhances the reader’s love for the gentle animal. Meticulous and striking illustrations show the reader where the koalas live. Filled with important facts for young readers, this would be great for classrooms learning about Australia, marsupials, or unusual animals and environments. It would also be great for parents just wanting to share with their kids.